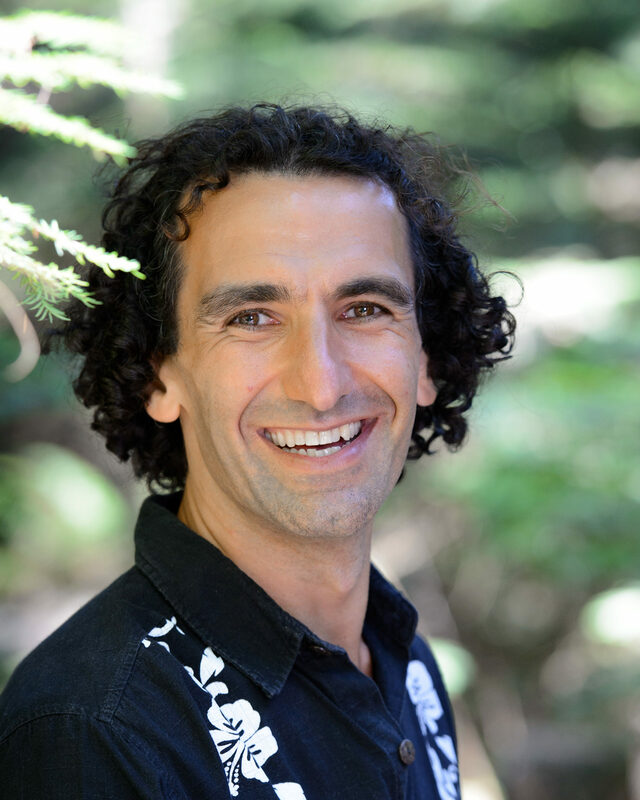 Rather than find questions that fit previously used methods, I aim to find the methods, including numerical modelling, underwater surveys, field sampling, instrument deployment, and subject interviews, necessary to answer cutting-edge climate questions. 1. Can coral reefs survive climate change? Central Pacific field work: The Gilbert Islands of Kiribati, subject to frequent El Nino-driven ocean “heat waves,” are a natural laboratory for evaluating how coral reefs may cope with climate warming (see Donner et al. 2010; Donner 2011). 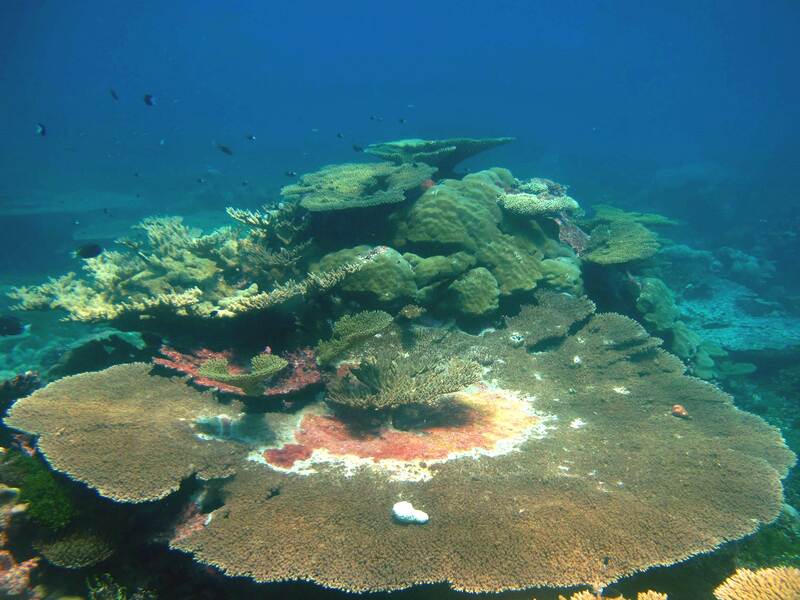 Since 2005, I have worked with the local government to monitor coral reefs across atolls with different climate and disturbance histories (e.g., Carilli et al. 2012). 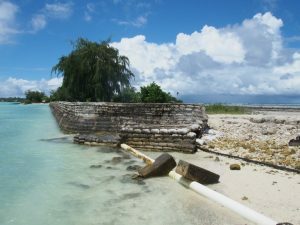 Ongoing work is examining the resilience of highly disturbed reefs and extending our analysis to the Marshall Islands. Predicting the future: For over a decade, I have developed models to estimate the frequency and severity of coral bleaching as the climate changes (Donner et al. 2005, 2007; Donner 2009; Logan et al. 2013). Future work aims to incorporate the role of past climate experience, light, and other factors into models, in hopes of understanding changes in community structure and identifying possible refugia. Global coral bleaching database: Despite great monitoring efforts around the world, our knowledge of the geographic extent of mass coral bleaching over the past few decades is incomplete. My group collects historical bleaching observations (see Donner et al. 2017) from around the world and uses spatial modelling to create global maps of the probability of past bleaching. The data can be used to track changes over time, validate models, and test theories about acclimation and adaptation. 2. Can the developed world help the developing world adapt to climate change? 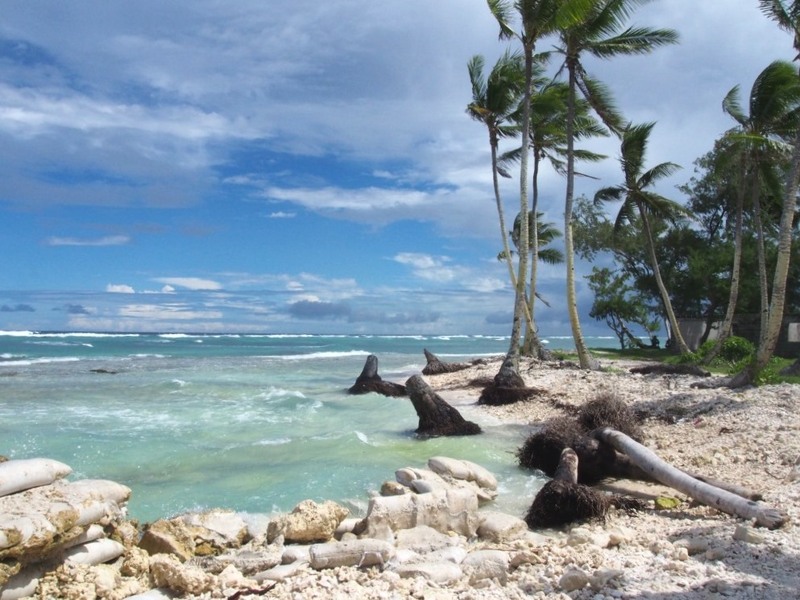 My group studies the challenge of helping the developing world adapt to climate change from multiple perspectives in hopes of identifying the obstacles to progress on the ground, with a particular focus on sea-level rise in the Small Island Developing States in the Pacific. We have looked at the international financial commitments (Donner et al. 2012), methods of tracking and policing adaptation funds (Donner et al. 2016), the factors that influence adaptation decisions on the ground (Donner and Webber 2014), and the role science can, and cannot, play in the process (Webber and Donner 2016). Ongoing work is evaluating how coastal disaster management and adaptation planning varies between jurisdictions with different levels of international support. 3. How are ocean temperatures and sea-level changing across the Pacific? We aim to characterize the trends and modes of variability in key climate variables, including sea-level, winds, rainfall, and ocean temperatures, to improve our understanding of ocean-climate interactions, refine future climate projections, and better inform decision-making. Recent research has focused on the influence of different El Nino types and decadal climate variability on regional and global temperature trends (Banholzer and Donner 2014). 4. How can scientists effectively engage with the public about climate change? The late Stephen Schneider famously suggested that scientists engaging with the public must find a balance between the strict norms of their field and effective means of communication. My ongoing communication research aims to help scientists find their place on the “science-advocacy continuum” (Schmidt and Donner 2017, Donner 2014), to consider perspectives from different cultures and belief systems (Donner 2007; Donner 2011) and to separate the “signal” from the “noise” (Donner 2012). I also spread these lessons through teaching and mentorship, including my role as Director of UBC’s Ocean Leaders program.